Tazer is a 2 year old pitbull and a big part of his Dad’s life. His Dad, who suffers from PTSD writes …. 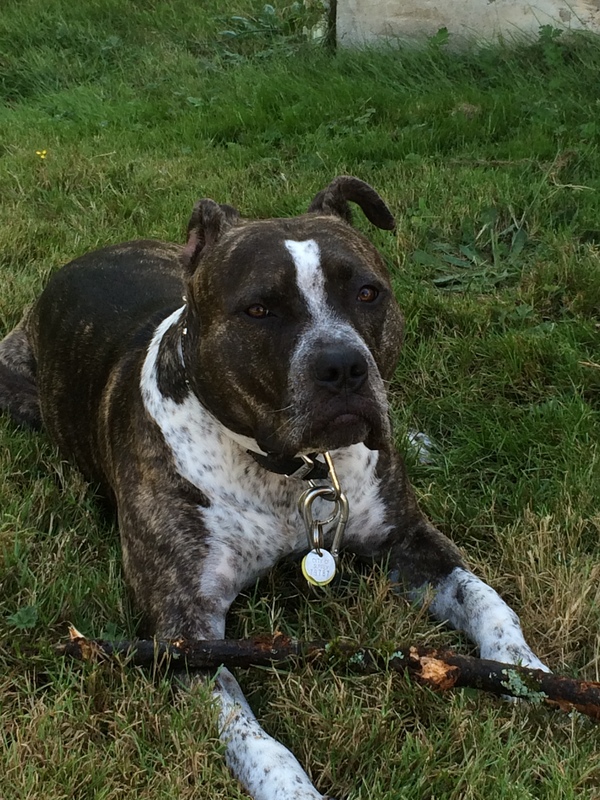 “Tazer is a part of the family and has a long life ahead of him. His presence in my life has helped me and is a great asset to my life”. 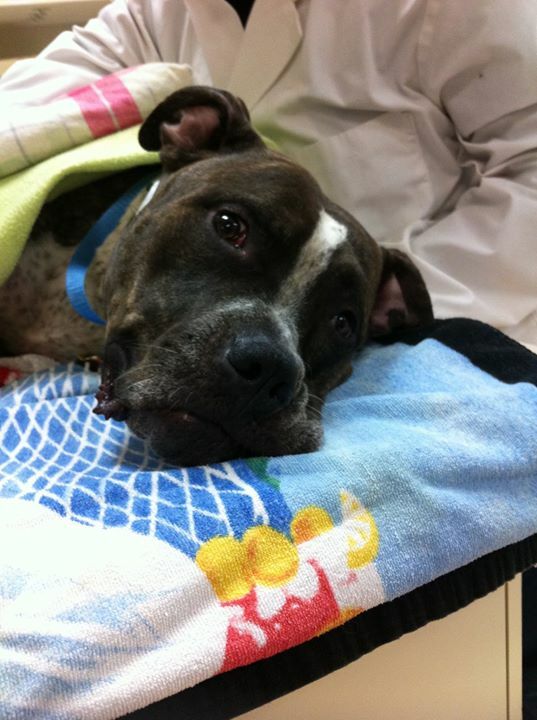 A few months ago, Tazer, still a rambunctious pup, went for a little run but came quickly back in obvious pain. After good rest with no heavy play or hard running, his right hind leg was still bothering him. His Dad knew he had to get him help or Tazer may have irreparable damages. He contacted us because financially he could not bear the cost, and needed assistance in helping his baby boy get well again. Our available funds were limited, but we knew we had to find a way to help. We contacted Paws For Hope for assistance. We are so grateful to Paws for Hope for partnering with us for Tazer. 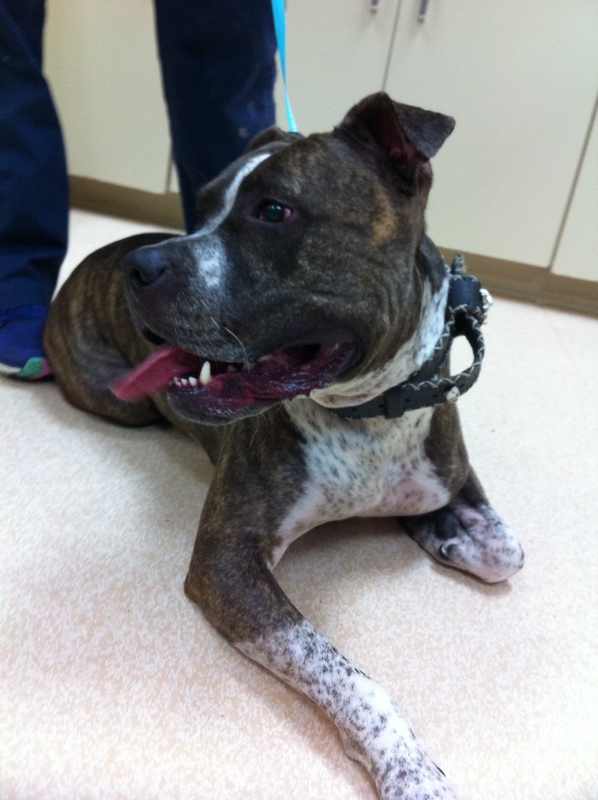 They were able to get Tazer to Scottsdale Veterinary Hospital for a complete examination and diagnosis. 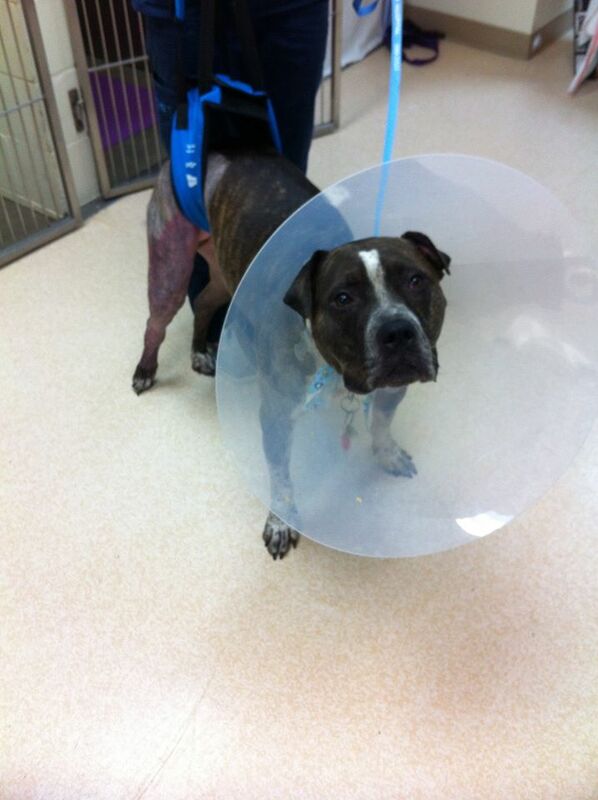 The bad news … Tazer had a torn anterior cruciate ligament (ACL) and needed cruciate surgery! 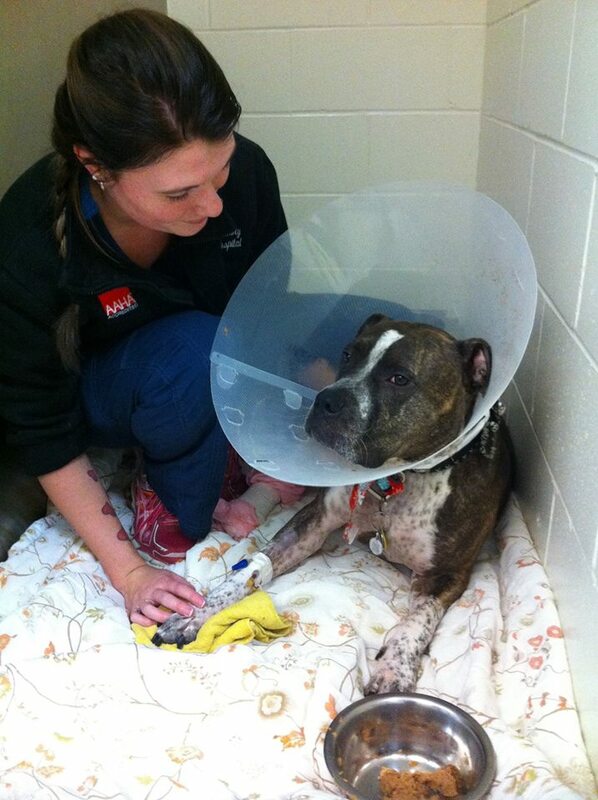 The good news … Tazer had his surgery a few weeks ago and is doing awesome. Tazer thinks he’s healed and has to be held back to make sure he heals properly. Tazer’s health is his Dad’s priority, he worries about his boy, but we know he is in good hands, Tazer is very much loved! We could not have helped Tazer and his Dad, without your support. We gratefully acknowledge Scottsdale Veterinary Hospital for their amazing care of Tazer and Paws for Hope for covering the majority of the costs and Tazer’s aftercare. We have been promised updates from his Dad!